Flying Electronic Wonder Robots (FLEWRO) is a quadcopter drone (UAV) developed by Aliriza Abdul Gaffoor. 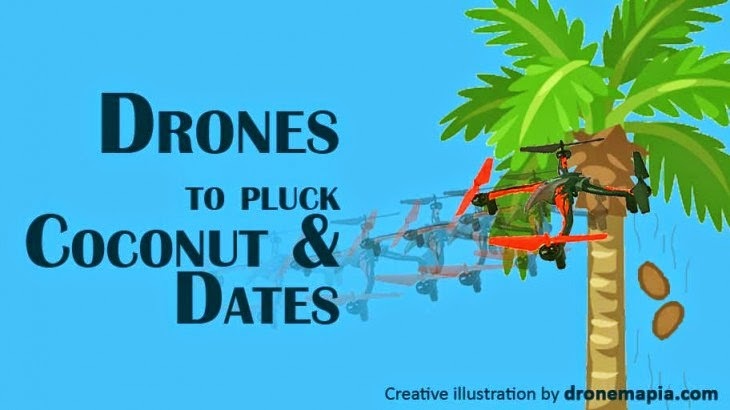 The drone with robotic arms can pluck coconut or dates from their trees. The drone can fly to the top of trees which are up to 200 metres and pluck the fruit. This drone can be controlled with mobile app. Camera attached to the drone will stream live visuals to the mobile app using Wi-Fi. The app is capable of recording the camera output shown on the screen to the mobiles memory. The drone can automatically stabilize its flight even during heavy wind with the help of the drone’s in built gyroscope and GPS. Once the drone (FLEWRO) reaches the top tree, the robotic arms starts working. One of the robotic arm tests whether the nut is ripe or not. When the test confirms that the coconut (or any other fruit) is ripe, it notifies the user through the mobile app. The users have option to confirm to pluck or not. When the confirmation to pluck is received from the user, the drone with its secondary arm fitted with sharp razors pluck the fruit. This process is continued until the drone receives order to come back home. 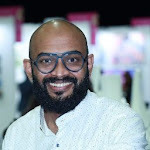 Aliriza Abdul Gafoor is the founder of our company and has been our chairman and chief executive officer since our inception.Mr.Aliriza has over a decade of experience in IT industry.With a long time passion for Entrepreneurship, Self development & Success, He started Flewup with the intention of educating and inspiring likeminded people all over the world to always strive for success no matter what their circumstances. . I couldn't see any videos of this device or its demonstration on youtube. Can you post a link of this here? In any case,big rc helicopters reviews in the event that you anticipate utilizing the drone for a business reason then the quadcopter would not be sufficient. You can fly the drone to up from the trees and capture the video of the trees for upload on the https://dronesforthebigboys.com/best-beginner-drone/.Remember one thing before flying the drone is connected to WiFi. Wow. Your analysis reminded me of some places we can control and fly the drones. Thanks for your suggestion here. Is it available in market?can you provide your email? No, it is not available on the market yet, it's still in lab-experiment phase for the moment. This is the really great post, I like Dr Thaddeus Sivana coat I am interested in reading this post.